1. Start by clicking the green downwards arrow next to your name at the top of each page. This will display a dropdown menu with a few menu options. Change Password should be the first option in the list. 2. Click on Change Password in the drop-down menu that appears. 3. 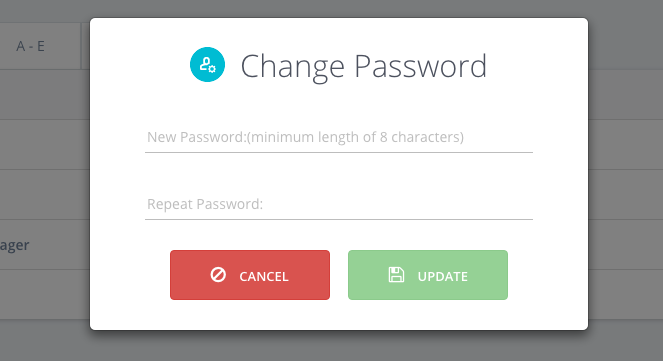 Enter your new password then confirm the password, and finally click on the Update button. Your password has now been changed. Be sure to take the time to memorize your password and keep it secure so that only those authorized to access your Tokeet account can do so. If you have any further questions please search our help center or email us at support@tokeet.com and we’ll be more than happy to help.